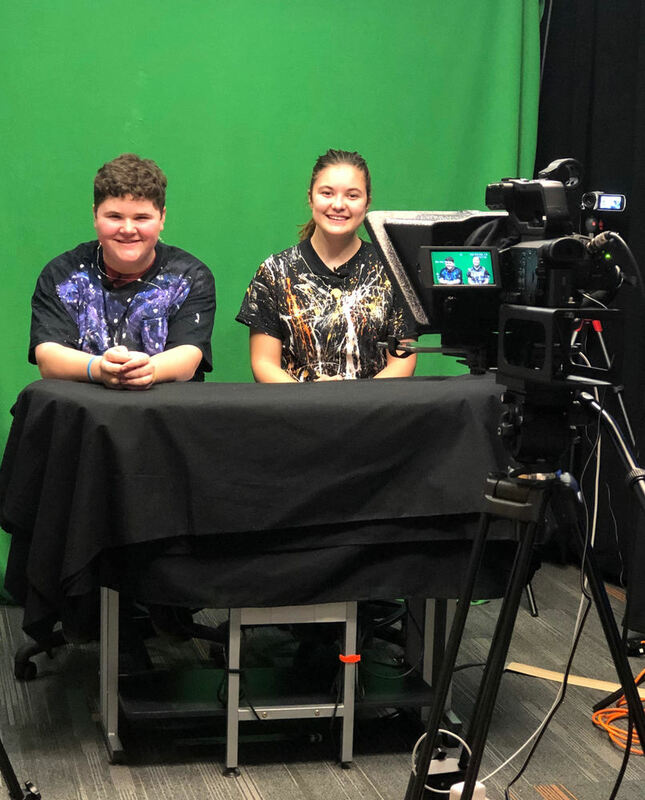 Pictured are Media 1 Producers Ashleigh Hubbard and Christian Croft as they compete for a spot performing the outro for the Advanced Media produced Trimester Spotlight. 90 Media 1 students wrote their scripts and planned their unique props and costumes to stand out as they competed for a chance to appear in the Trimester 2 spotlight. Hubbard and Croft designed Sadie's themed attire and performed their script. Advanced Media Producers will select the co-anchors at the end of this week. After seeing their co-anchor audition video, Advanced Media Producers contacted the pair and invited them to be special guest hosts during Sadie's Dance coverage. The first year producers, Hubbard and Croft are excited to be part of this opportunity to serve as Sadie’s hosts and be part of the legacy created each trimester spotlight that can be found for years to come on the CPHawks Youtube channel. Stay tuned for the announcement as to which group will serve as anchors for the outro portion of Tri 2 Spotlight.